Purina is working hard to make a difference and enrich the lives of pets. With its Paws for the Planet initiative, Purina has partnered with Evergreen to donate $50,000 to transform select animal shelters across Canada to create safer, playful, and more eco-conscious green spaces. 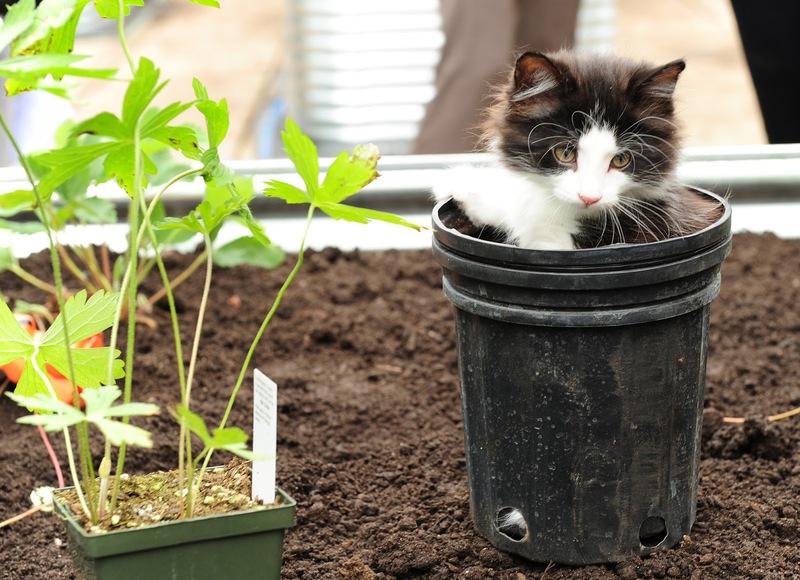 • Planting container vegetable gardens which will provide food for some of the smaller animals like rabbits and guinea pigs, and a selection of cat nip and cat grasses for our furry friends to enjoy. • Bringing in trees and shrubs to create a dense shaded area to protect the animals from the sun. • Knowing a large portion of the Humane Society team is made up of volunteers, we are creating a shaded seated area for volunteers to enjoy. This is a small way of thanking them for all their hard work. 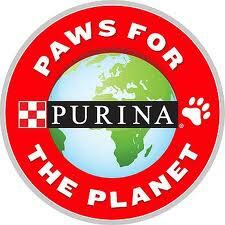 Paws for the Planet now in its fourth year, celebrates a partnership between Purina and Evergreen established to create a better, greener world for people and their pets. Purina is giving Canadians the opportunity to win a backyard makeover to create a pet-friendly green space. From May 31 to September 7, Canadians can visit www.PawsforthePlanet.ca and enter for the chance to win one of three backyard makeovers valued at $5,000 each. For every entry, Purina is donating an additional $5 to Evergreen’s Stewardship and Restoration program, up to $50,000. The contest is open to all Canadians who have reached the age of majority in their province or territory. Paws for the Planet is just one of several of Purina’s green initiatives that aim to make the environment a safer, more sustainable place for pets and their owners. Other efforts include the purchase of gas efficient vehicles for Purina’s Canadian sales fleet and the diversion of waste from local landfills to turn organic matter into biogas, a natural source of energy. Purina is dedicated to celebrating the joys of pet ownership. From the establishment of the PawsWay centre, the permanent home of the Purina Animal Hall of Fame to its sponsorships of The Purina National dog show and the Lions Foundation of Canada Purina Walk for Dog Guides, Purina is committed to enriching the lives of pets and their owners. Nestlé Purina PetCare Canada is a leading pet care company and global manufacturer of quality and nutritious pet food brands such as Pro Plan, Purina One, Dog Chow, Alpo, Beneful, Beggin’ Strips, Busy Bone, Cat Chow, Friskies, FancyFeast, Luv, and cat litter brands Maxx and Kitty Litter. For more information about Nestlé Purina PetCare Canada please visit www.purina.ca. 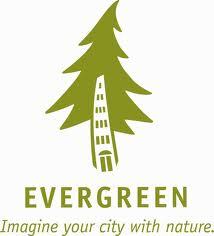 Evergreen is a national charity dedicated to making cities more livable by creating and sustaining dynamic outdoor spaces – in schools, parks, communities, and at home. Headquartered in the Toronto’s scenic Evergreen Brick Works, the not-for-profit organization conserves natural and cultural landscapes, restore degraded environments, and protect spaces. 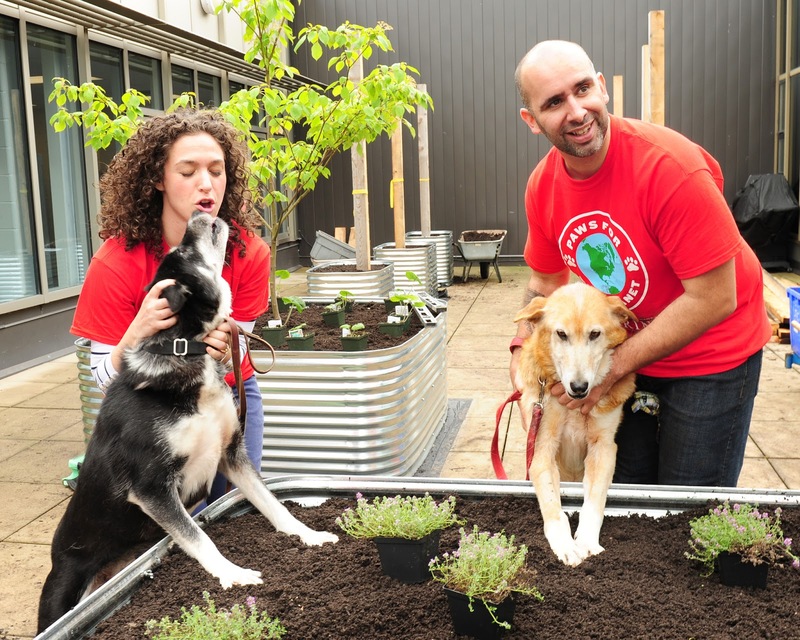 Purina's Paws for the Planet program brings nature home to the Toronto Humane Society. 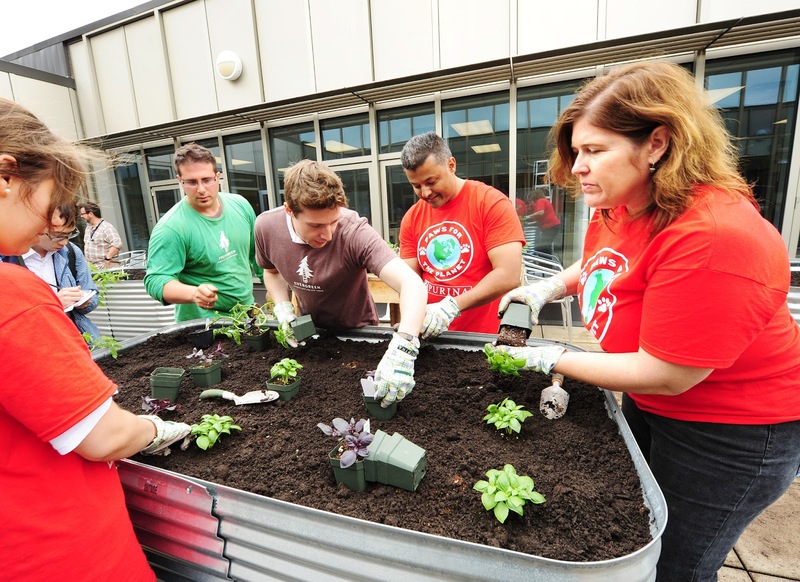 Evergreen experts and volunteers join together to transform the shelter's outdoor roof space into a green sanctuary for animals.